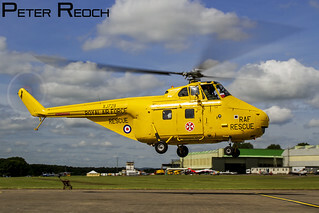 XJ729, the only flying example of the Westland Whirlwind HAR10 still remaining, seen departing from RAF Cosford. The historic helicopter was on static display at the RAF Cosford Air Show 2015, as part of the Search and Rescue theme at the show. The aircraft is privately operated and based in Somerset.